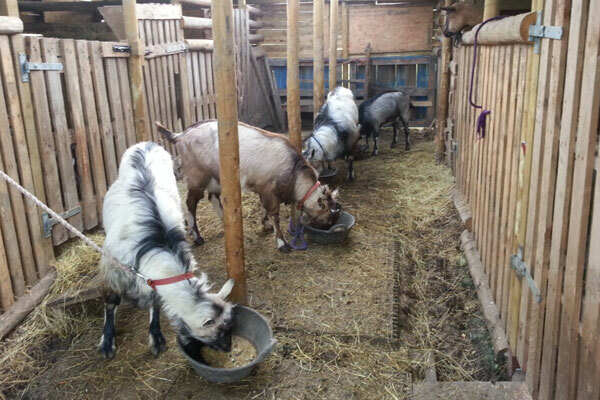 Home » » Livestock » Head-to-head: cows or goats for smallholders? When you move into keeping livestock there are several considerations before buying your first animals. Clearly, if you have a commercial aim in mind or an definite end product, then choices will be narrowed to those animals that fulfill your business plan most economically. There are many breeds, all with their own characteristics and whether you are farming for meat, milk or fibre you will be able to find one that will provide the perfect commodity. But what if you just want a couple of ‘house’ animals to provide for your own personal needs and perhaps create some extra income? If this is the case you might prefer a dual purpose breed that is relatively easy and economic to keep while producing multiple products for you and your family. Here we compare the relative merits of cows and goats for small-scale environments and accordingly we have chosen breeds that would be most suitable in these conditions and are true dual purpose animals. In the red corner we have the Dexter, our smallest cattle breed. Hailing from Ireland it is one of the few cattle breeds, along with the Shetland perhaps, that is truly adapted for the smallholder. In the blue corner we have the English/Old English Goat* a breed that gets relatively little press compared with others such as the Toggenburgs, Nubians and even Guernseys but that we believe nonetheless is a worthy contender and most definitely a suitable candidate for this head-to-head. Let battle commence…..
Dexter Cattle: The cost of Dexter cattle can vary from £200 for a yearling to £800 or more for a top quality breeding animal. The factors which will influence the price are the age of the animal, whether it is a young animal to bring on for meat or a quality bull or cow bought for breeding purposes, it’s calving record or proof as a sire, its age, its conformation and condition. 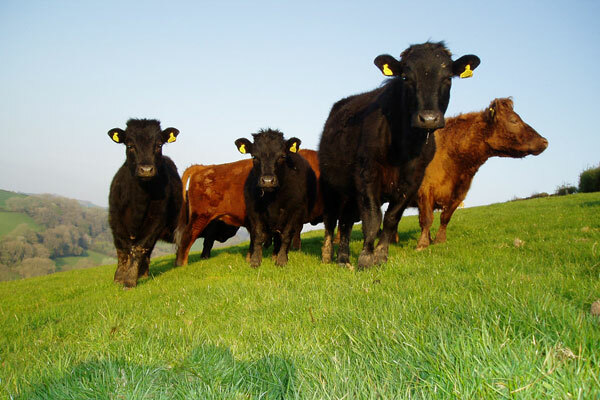 Regional differences can also effect prices, for example cattle from the Home Counties are often sold at a premium. Where you buy your Dexter is also a factor; whether you go to a first rate breeder who will sell you an animal with provenance or you pick up an animal with little history from a local market. Although ultimately personal choice will dictate your final decision, the size of the animal (whether short leg or non short) and the colour, black red or dun, should be considered when buying a Dexter. Any good breeder or the Dexter Cattle Society will be very happy to offer you advice. Any property where livestock is kept needs a CPH (standing for County Parish Holding) number which can be obtained from The Rural Payments Agency by calling 0845 603 7777. This is free of charge, applies whether the land is owned or rented and should be done before you move livestock onto the land. You will then need to register as a livestock keeper with the Animal Health and Veterinary Laboratories Agency (AHVLA) within 30 days of your animals arriving. They will provide you with a unique herd number which is displayed on official ear tags (see identification section) and is recorded in the appropriate livestock movement database. It is also a legal requirement to keep a record of any drugs administered to food producing animals in a medicine book. Recorded information is used to prevent the spread of disease and for this reason it is important that records are current. English Goat: For goats you will also need to maintain a holding register which covers movements, tag replacements, deaths and other records for your holding and your herd. 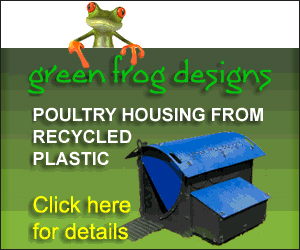 DEFRA provide templated documents that you can use to make these records either manually or electronically. These can be found here. Additionally to recording it in your holding register, if stock is moved on or off your holding, you must report it using the form AML1 or, since April 2014, using the online Animal Reporting and Movement System (aRAMs) system. Finally, you will be required to fill out and return an annual goat inventory detailing your stock. Dexter Cattle: Cattle have slightly more complicated registration and identification procedures. All cattle born or imported after July 1st 1996 are required to have a passport – a document that stays with the animal for its entire life and where information about the animal, its movements and its death are recorded. The passport is passed to a new keeper if the animal changes ownership. Passports are issued by the British Cattle Movement Service (BCMS) which also runs the Cattle Tracing System database. The type of passport depends on when it was issued but they are currently a single page format as opposed to the chequebook type issued until August 2011. The BCMS must receive your application for a passport within 27 days of the animals birth and you can apply online by telephone or using printed application forms. The passport should be returned to the BCMS within seven days of an animal dying. When moving cattle on or off your premises you must notify the BCMS within three days and record it on the passport and in a movement book. Although you should always be vigilant for signs of illness or injury in your herd TB is the most threatening problem and for this reason you will need a pre-movement TB test before moving them. If you are on a yearly testing regime cattle need to be moved within 60 days of the pre-movement test. As with goats, on farm records are also required and should note information such as tag numbers, births, breed, mother’s name, movement information and death date. Records can be kept on paper or on computer. Remember that you could also be subject to an inspection to check that you are complying to these conditions. English Goat: Unless they are to be slaughtered at under 12 months of age, goats need two identifiers and this is usually achieved using a tag in each ear. There are various rules concerning this but you need to make sure it is done before six months of age if your animals are housed overnight, nine months if not, or before they are moved off the holding where they were born if this is sooner. Both identifiers will display the same unique ID number. For sheep one of the tags needs to be electronic’ however, this is not yet required for goats. Goats going to slaughter at less than 12 months need only one identifier/tag bearing your herd mark. Dexter Cattle: Any animal born after 01/01/1998 is required to have two ear tags referred to a double tagging. A primary yellow tag shows a numeric identifier relating to that specific animal. The secondary tags may also contain information such as name or visual identifiers. Tags must be fitted within 20 days of birth (within 36 hours for dairy cattle) and certainly before they leave the holding where they were born. 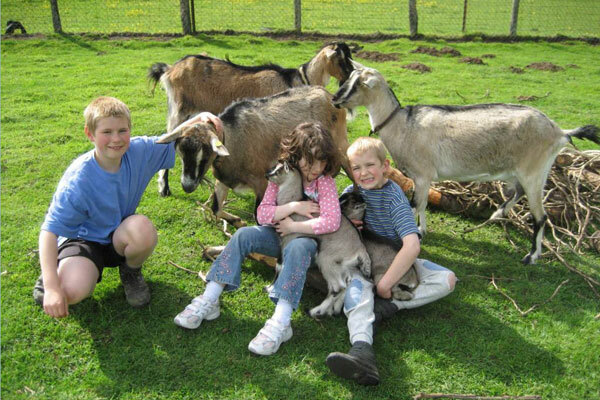 English Goat: Don’t need a huge amount of space but they should have enough to get up to full speed running and the enclosure should include something to climb on whether that be a log pile, rocks, palettes or some custom built climbing area. You can keep around three goats per half an acre but with rotations you would ideally have double this. Dexter Cattle: Roughly an acre an animal but the quality of the ground is the most important. If the land is A1 quality then you can put two Dexters to an acre but if the ground is wet or on a north slope then a lot more will be required. For three cows (who will then produce calves) allow 5 acres of relatively good quality ground including enough land to grow at least some of your fodder for the winter months. 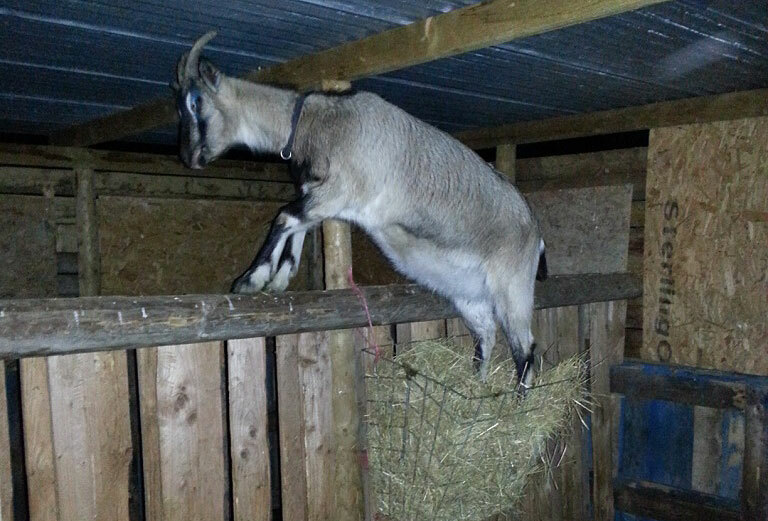 English Goat: At least 4ft but preferably 4’6” post and rail with stock fence fencing inside. A strand of electric half way up will stop these notorious escapologists using the rail as a launchpad. You may find that nannys are less inclined to try to escape after they have kidded. Goats have a reputation for escapology – I wonder why? Dexter Cattle: Dexters require sturdy fencing – they are much heavier than goats so you have to take that into consideration. Well constructed stock fencing with a row or two of barbed wire along the top should do a fine job. If you have particularly determined animals you may need to install some strands of electric too. Remember they are not as tall as most cattle and a Dexter calf will pop under a fence with too much of a gap low down. English Goat: English goats are hardy but as with most goats they hate being wet so you must always provide a field shelter. You can bring them in during winter and they will live happily in a suitable shed with an area of hard standing during more inclement months. 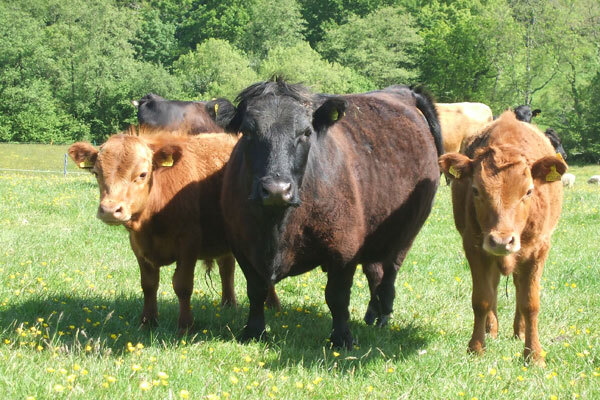 Dexter Cattle: Dexters are happy to live outside all year; however, they will need supplementary feeding in winter unless grazed really extensively and they will require some kind of field shelter, trees or a good hedge. That said they are often brought in either to save the land in winter or when they are calving or have calves at foot. English Goat: Feed hay ad-lib but be warned they can be quite wasteful with it pulling it out and leaving it strew around the place. Supplement with goat mix, preferably with an oat base, 4-6oz (100g-170g) twice a day under normal circumstances but up to 2lb (900g) a day when in full flush of milk in the year of kidding. Normal maintenance ration for a running through milker is about a 1lb (450g) a day. You can also feed ewe nuts. Half a bag should feed three-four goats for a week and costs around £10-12. Goats are browsers as opposed to grazers and ash, willow, elder along with most deciduous (oak being a exception) trees will all be eaten with relish. Thistle and nettles (preferably older plants that have flowered) are also popular forage. It is wise to make a sulphur mineral lick available too. Yew, laburnum and most coniferous trees among other things are poisonous to goats. Dexter Cattle: They generally do not require hard feed unless finishing off an animal for meat or perhaps weaning a calf. Feed hay or silage during the winter as necessary. If you buy all your winter feed you will be looking at around £150 per animal per annum but of course this will depend on the season and how expensive/available feed is. You should always have a farm animal vet on call in case of emergency and especially if you are a new or inexperienced keeper. English Goat: Goats are fairly resilient animals but mastitis, scours (diarrhea), scrapie, skin problems, parasites and intestinal upsets can all be problems. You should also consider annual testing for the viral disease Caprine Arthritis Encephalitis (CAEV). Hoof trimming of English goats may not be necessary as often as with some other breeds – perhaps 6-8 weeks. Worming for round and tape worm up to every 3 months during spring/summer depending on worm burden of your land but where possible have stools tested to determine when worming is required. 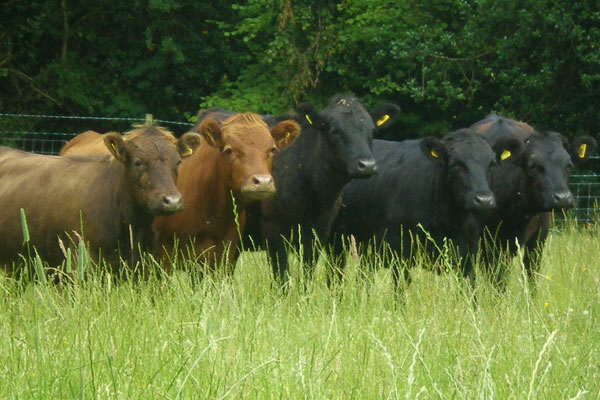 Dexter Cattle: Recommended to be on a health scheme, most vets will offer one on a monthly basis. Cattle have to be TB tested with different regions having different testing regimes so you need to make yourself aware of the local requirements. Dexter cattle are a healthy and long lived breed that can still be calving into their twenties. In both instances, to get milk you will need to kid or calve your animals. This will mean either employing the services of a suitable billy/bull or using artificial insemination methods. Goats are usually kidded every other year but can go as long as 4 years albeit at lower yields. Cows are calved every year for most efficient production. Obviously you will have offspring from this process so you will have to have a plan for them. Males will usually be used for meat, females can increase your herd, be sold or go for meat. You also need to decide if you want to milk by hand or get yourself a portable milking machine. English Goat: Milk volumes will increase with the amount of concentrates fed but don’t go over feeding just to get your yield up. If you need more than 3-4 pints a day then consider another breed. Yield may drop slightly in winter. You can milk once or twice a day but change gradually if you want to go from twice to once daily as a sudden change could lead to problems with mastitis. Usual practice for milkers is to remove kids before 3 days old, bottle feed them, and then milk mum twice daily. If you want to leave the kids on then you should still milk by hand once daily so she doesn’t dry herself off. Dexter Cattle: Expect around eight pints a day which is plenty for family use with some left over and much more manageable than the huge amounts you would get from specific milking breeds. Dexter milk has a high butterfat content. Dexter Cattle: Dexters produce excellent quality marbled beef and a average carcass will produce 90-100kg. For best results the meat should be hung for 14–21 days. Dexter meat now has a registered certification mark that means that meat cannot be called ‘Dexter Beef’ unless it is from registered or birth notified stock. 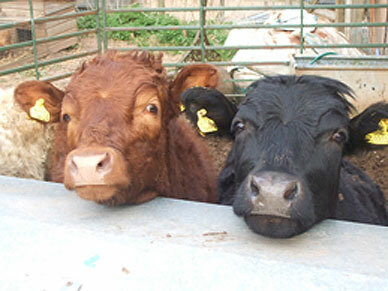 Dexter Cattle: This will vary with abattoirs but between £200 and £300 for slaughter and butchery. English Goat: Goats need less room, cost less to feed and maintain but also produce less milk and meat per head than cattle. Goats milk can be used to make popular craft dairy products and is often popular with people who are mildly lactose intolerant. Goat meat is becoming more popular and widespread but still doesn’t have the same reputation of good quality beef in the consumer market. Dexter Cattle: Arguably the most suitable cattle for the smallholder. Small and hardy they produce excellent beef in smaller joint sizes and enough milk to support a family and a cottage dairy industry. Sightly more administration involved with cattle which may be off-putting but it’s like anything, once you get used to it you wonder what the fuss was about. And the winner is …well that’s for you to decide. *Note: Old English and English goats are very similar but the Old English will still have some influence from feral stock brought in from the hills for breeding. 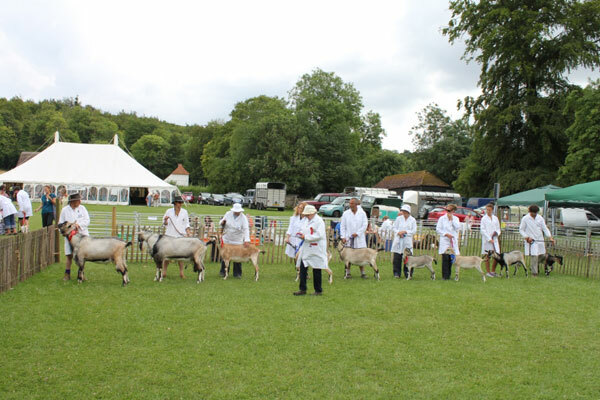 They are a revival breed and have been selectively bred from goats displaying English characteristics to produce a low maintenance dual purpose breed. The English breed standard discourages swiss markings but doesn’t disqualify them where as the Old English standard does. Many thanks to the Dexter Cattle Society, the English Goat Breeders Association and the Old English Goat Society for their help with this article. For more information or advice on these breeds please contact the appropriate organisation directly. A very succinct and well constructed introduction to small scale meat and dairy production. However goat milk is NOT low in lactose, and in a lower yielding goat like an English goat the lactose level will be quite high. So goat milk is not more suitable for those who are lactose intolerant. It is however ideal for those who are intolerant of bovine products. I think that it should have read ‘lower’ (although on a quick scan I can find where is says low) as goat’s milk can be up to 10% lower in lactose than cow’s milk which in some cases is enough to subdue the intolerance but yes you are correct that it should not be considered low in lactose. Thanks for your clarification of the point. Thank you for your response. However I think to make any reference to a possible lower level of lactose is misleading as there is such variation as to make any assertion invalid. Feed, management, breed, climate and individual genetics make the possibility of a 10% lower level erroneous. I am not trying to nit pick, but it is so common for people to confuse lactose intolerance with bovine intolerance.